Thanks to the 35 contractors La Ruche who brought their enthusiasm and willingness to share the workshop co-creation of the charter-a wonderful time together! 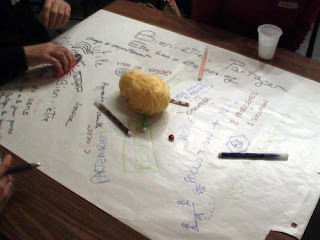 resonance ideas, creativity and hearts-is not this exactly what we all want to continue, day by day in our little hive? For those who could not take part, or to remember the evening a report is available here .